We arrived at our launch site at 0900hrs on Monday and the forecast was for 3-6mph winds all day. The estuary was super smooth and only a couple other boats around to disturb the tranquility. We got setup pretty quick and got the boat in the water. We hadn’t been out and conditions as smooth as this before and it really did look pretty magical as we cruised out of the mouth with the sun rising in the sky. As we got out you could see it was a perfect day for it as we where joined by lots of other boats all making the most of our first really good spell of weather. I downloaded the Navionics App for my phone the night before and couldn’t wait to try it out. At full tilt we where doing 17mph which we both thought was pretty respectable. It didn’t take us long to get to our first mark and we stopped over a raised bank on the charts. It was pretty clear bumping the bottom that we where over clean ground and we instantly started getting very small plucks at the lures. I know the bay is mainly sand and flatties are a possibility. 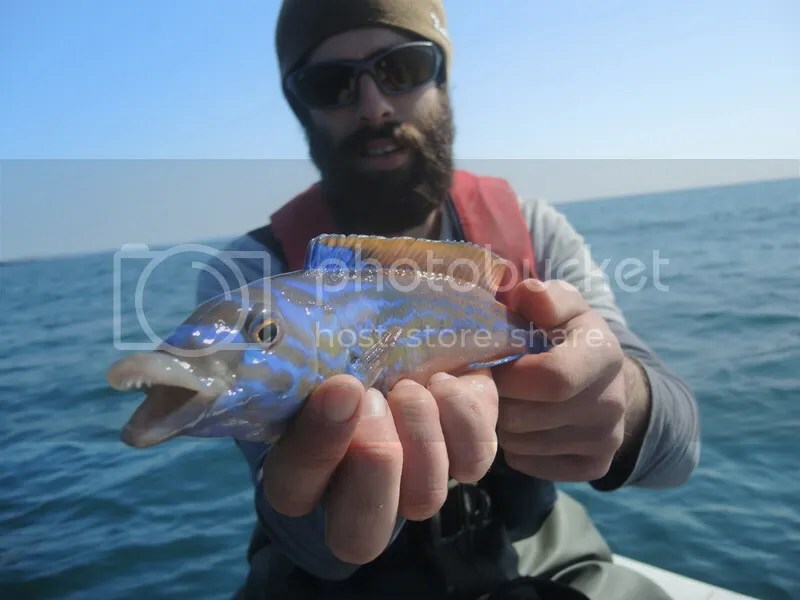 This was not your normal Wrasse or Pollock bite that’s for sure. I changed over to a smaller 3 inch lure on a 21gm jighead and 2/0 hook. The smallest I had with enough weight to keep in touch with the bottom as we drifted. The bites came again, I was so sure it was flatties as you’d get a few plucks in succession then after a pause and small amount of twitches it would happen again. We struck into weight a few times but never got a hook up leading me to think they where just taking the tails and not hitting the head where the hook was. This got very frustrating and after a while we just gave up though hopefully next time we will come better prepared. Next we headed out to try a wreck that was marked on the charts. This didn’t really go to plan as we certainly didn’t feel it and thought we where just guessing in the dark. Though after a couple minutes Tim hooked into a fish. It didn’t feel like something he had caught before and soon started to think he may have a Cod. We thought we might have had a sneaky chance at a Cod in this area too and just our luck he nailed one! Caught on a HTO 5inch lure in white just slowly bumped along the bottom. We where buzzing, certainly no accomplishment to most boat anglers but this is only our third proper trip out and it’s all a learning curve. We where pleased to get our first target species of the day. We drifted about but couldn’t replicate our luck and certainly couldn’t find the wreck(On doing a bit of research apparently the wrecks aren’t accurately marked on Navionics so you need to get the coordinates and put them in which you can do as I later found out!). Next there was a few more features in the area located on the charts. We positioned ourselves in front of them and aloud us to drift over the top of them. They certainly seemed more like sandbanks than reef but they still held fish and we brought a couple of small Pollock to the boat. Next stop was a really shallow reef, here we could look down 15ft into the deep and see the kelp. I don’t remember seeing water as clear as this and it was awesome just looking at the ground. No fish here though and in this kelp forest I really expected to see a Wrasse or some Pollock but nothing. Maybe it was the state of tide or our positioning over the reef but we didn’t hang around for long and moved to the next spot. This next area I felt confident would bring us away from the sand and certainly put us around more reefy ground. It was certainly rougher as we kept catching the bottom and wasn’t long before we pulled up a few Wrasse bu nothing of any size and being a few hundred yards from he shore I expected a larger stamp of fish on average but this wasn’t the case and after a while I hooked into something very small. To my surprise though a Male Cuckoo Wrasse appeared from the depths. Electric blue colours shining through the crystal clear water! Sunning fish these and my first on a lure. Soon after I didn’t realise until I was pulling my lure out the water but a decent boil appeared where my lure surfaced. I’m guessing a nice Pollock followed it up from the depths as we have seen before and I was not paying enough attention or thinking about what I was doing to get the fish. Never rush to pull the lure from the water. Just like shore fishing a brief pause at the end of your retrieve will sometimes get you extra fish and Pollock love chasing a lure as it heads for the surface. We took more Pollock and Wrasse before looking for another wreck. This obviosuly didn’t go to plan and by this point my iphones battety was on it’s way out. We used the last of the battery to try and find anther reef but it was to late. Our old tactic came into play and that was from going by our knowledge of the shore to try and fins some fish. Wrasse and Pollock where still the target with slight optimism that we might pick up a silver bar or two along the way. Tim was nailing Pollock on straight retrieve but still nothing of any real size and I continued to bounce the bottom tight to structure hoping for a big pig or a lucky Bass. We came to the conclusion this probably wasn’t going to get us a good fish so we headed out a bit further. Maybe 200-400 yards offshore, the tide had changed now and set us up for a perfect drift parallel to the shore. We covered a fair amount of ground and could feel ourselves coming in contact with more reef and bouncing our lures over ledges and rocks. We picked up more Pollock and Wrasse until I got nailed by a better fish. I could feel it was better but it didn’t take as bigger dive as the one I had at the end of last year. The fish took a little line against my tight drag but sill came in pretty easy in comparison. 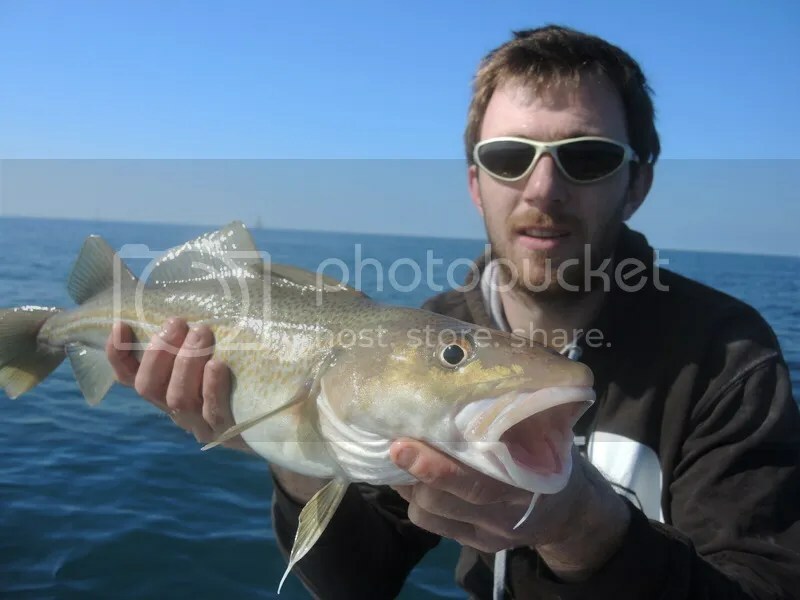 Still I’m pretty sure it was a new PB Pollock from my boat. I’ve had them to 13lb on the Wrecks but this inshore SIB fishing is a new game and a new learning curve and way more fun on he standard Bass gear. We repeated this drift for quite a while continuing to have fun with Pollock and Wrasse around the 3lb mark. Eventually we felt it was time to call it a day. On the way back there was only a couple boats still about and the sea had once again flattened right off. The orange haze from the sun as it got lower in the sky was stunning and the perfect way to end a really enjoyable day. We lost a lot of lures and I think fishing weedless over this sort of ground is nearly a must though I still lost a lot of lures even rigged weedless. I much preferred to fish bigger lures in the 5-6inch bracket rather than anything around 4 inchs. Favourites where: Keitech easy Shiner 5inch, 42gm SGS Real Pearl, White Sayori Shads, 25gm Fiiish Minnow though these did give me a lot of grief and the 5inch HTO shads in white. Depending on lure we used between 20-30gm jigheads and these where ideal for the area we fished with the strength of the current. I geared myself up with my Snowbee Seabass Travel rod rated 10-50gm along with my Daiwa Exceler loaded with 300yards of 20lb whiplash. The rod is perfect for the boat but just a little heavy and chunkier in the hand than my Daiwa. The reel and line is ideal for what I want it to do atm but we’ll see how well they hold up in the future. Overall we managed four species and landed a lot of fish. It certainly was a fun day and I can’t wait to do more on those hot sunny flat calm days when shore fishing may not be worth he effort. 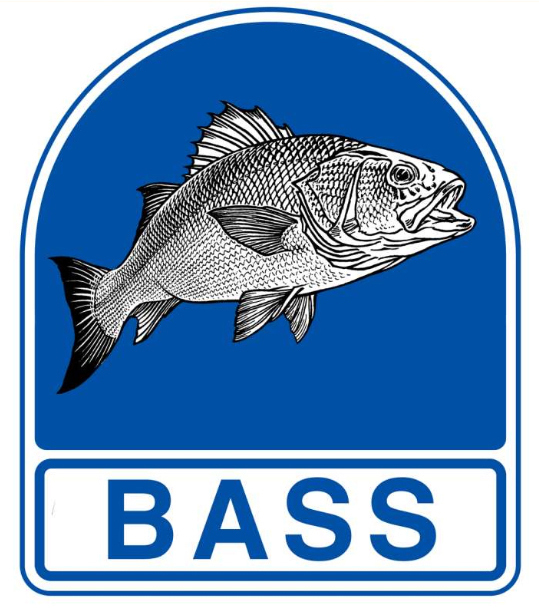 I will still predominately be shore fishing but this is just a new challenge and will hopefully open up a lot of new possibilities and help gain a lot more knowledge of our coastline as well as learning new techniques giving us more all year round sport. 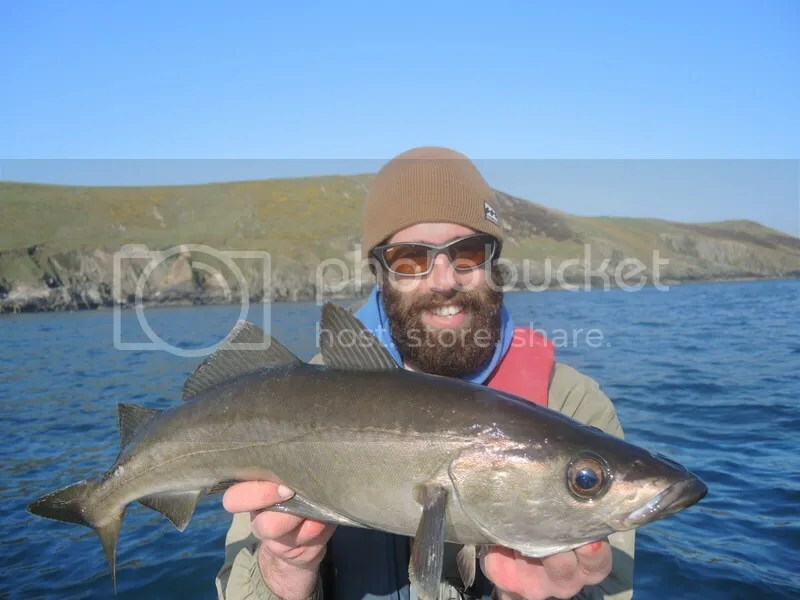 This entry was posted in The Fishing and tagged Cod, Cuckoo Wrasse, Pollock, SIB, Snowbee Sea Bass Special, Weedless, Wrasse. Bookmark the permalink.